We had a job to do. 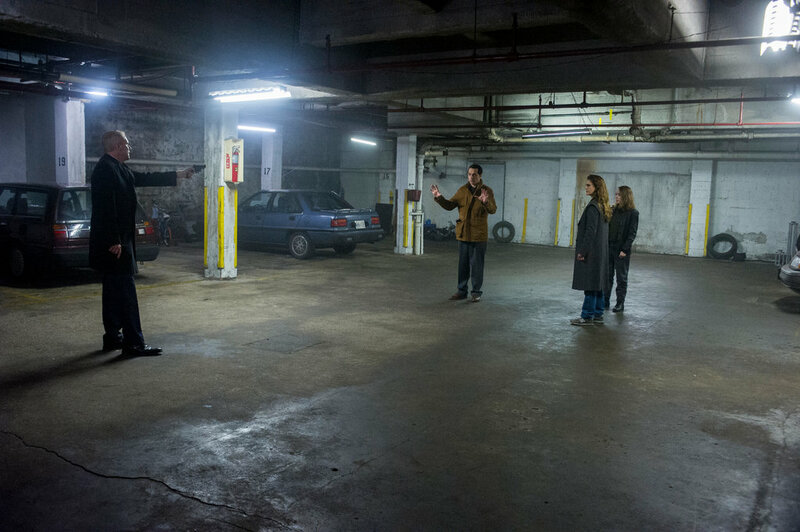 It’s appropriate that the series climax of The Americans, a show that spent six seasons refusing to ever let the dramatics of spy work take center stage over its characters, come not in a hail of bullets but in an eleven-minute conversation in an underground parking garage. 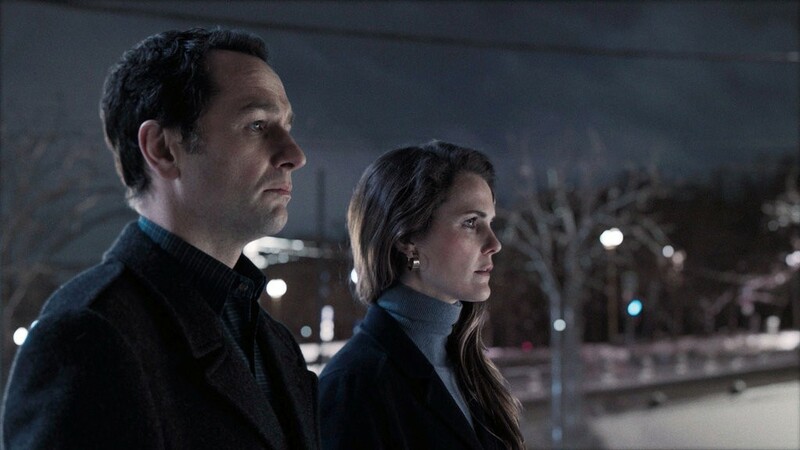 There will be those that will say that The Americans was too slow, too talky, and too open-ended in its final episode, but those are the words that describe what the show has always been. If you thought this was ending in a blaze of glory, then you’ve never known the heart of the show. After nearly capturing Philip last week, the FBI is maintaining surveillance on many of the city’s parking garages in hopes of catching their spy couple in the act of stealing a car and fleeing. Stan, however, is busy working a secondary private investigation in his mind. If the targets really are Elizabeth and Philip Jennings, then he has other ways to investigate. He calls the travel agency where he’s told that neither Jennings is in the office. Then he calls Philip and Elizabeth’s house and gets no answer at all. The evidence that his neighbors are the spies he’s been chasing for nearly a decade continues to mount, but he still lacks the smoking gun to prove it once and for all. That final irrefutable piece of evidence may come from Father Andrei, who finally breaks under Aderholt’s probing questions about what it would look like if a Russian Orthodox priest was publicly known to be aiding Soviet agents. The Soviet government and the church are opposing forces, divided by communist doctrine that derides religion as the opiate of the masses. If the church were known to be assisting that government, then Russian expatriates in America would leave the church in droves. Aderholt is relentless, asking the priest if crippling the church is really the legacy he wants, and Father Andrei, never one built for intense questioning, agrees to work with an FBI sketch artist. “I know they wore disguises,” Aderholt begins, urging the priest to do the best he can, but Father Andrei stops him. “I saw them once without disguises,” he says. He saw their true faces when he officiated Philip and Elizabeth’s true wedding ceremony, and he stands to give the FBI the most accurate sketches of the pair that they’ve ever had. The Jenningses know this eventuality is coming, and after Philip and Elizabeth meet up they make a plan to pick up their children and flee for the Canadian border with false documents and identities. They agree to pick up Paige first, but Philip hesitates at the idea of snatching Henry from his prep school. Philip knows Henry is flourishing there like they’ve never seen before, and he’s the only member of the family still in the dark about Elizabeth, Philip, and more recently Paige’s careers as Soviet agents. Poor Henry has no idea that a Russian exfiltration is a possible part of his life, and Philip knows that such a revelation coupled with a sudden, unexpected relocation would probably be too much for his son. “What are you saying? We leave him behind?” Elizabeth asks. That’s exactly what he’s suggesting. “He’s been doing so well,” Philip says. “His future is here.” It’s a painful decision, but even the steely Elizabeth ultimately recognizes it’s the right one. Henry will unexpectedly lose his family, but he’s already been living away from them, and he’ll be able to retain everything else that’s made him successful over the last few years. They do, however, have to grab Paige. Their daughter is aware of their work, and she’s done her own share of spying against the United States. At first Paige can’t understand the sense of urgency they’re dealing with, and she bucks at the idea of leaving Henry behind, but Philip and Elizabeth quickly usher her out the door and down to the garage below. Time is quickly running out, and an FBI agent could be lurking behind any corner. And one, it turns out, is doing just that. Unable to shake his all-but-confirmed suspicions, Stan steps away from his assigned parking garage surveillance operation to watch Paige’s apartment instead, knowing that Philip and Elizabeth would be unlikely to leave their children behind in the act of fleeing (poor Henry!). Thus, he’s there to see his neighbors in hats and coats slip into the apartment building and grab their daughter, and he’s also waiting for them when they make their way back to the garage. Stan Beeman has always been a capable FBI agent. His hunches about Nina, Oleg, and Gennadi ultimately proved to be correct, and he was responsible for taking down Gregory, William Crandall and others across the show’s six seasons. His one blind spot has always been the spies living directly across the street, which The Americans largely dealt with by never having Stan think about them in relation to spycraft at all. After investigating them in the pilot, Stan never engaged the issue again until just a few weeks ago, and that has finally led him to the truth. Here, he’s smart enough to direct his questions to Paige. He recognizes that Elizabeth and Philip are masters of evasion, but if Paige doesn’t know the score then she’ll have no good answers about why she’s being smuggled away in the night. And if she is a novice spy, then she’s the target most likely to crack. Good work, Stan. This is the moment Stan and viewers have waited years to see, and it’s perfectly executed to place emphasis exactly where the show always has. 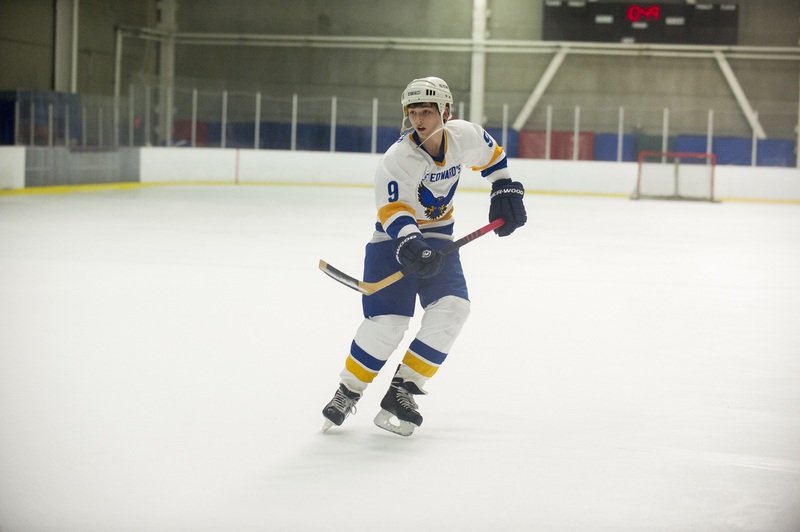 There isn’t any complex directing or editing here, just stable, restrained compositions that place the emphasis on Matthew Rhys, Keri Russell, and Noah Emmerich. The writing reflects the emphasis on character and emotion as well, for when Stan is finally able to answer Philip’s confession (produced without ever actually directly asking if the Jenningses are spies) he doesn’t ask how or why. The facts of the case are secondary to his own emotional involvement in it. “You were my best friend,” Stan finally says, perhaps never more shocked then to hear the words coming out of his own mouth. The resulting scene is a marvel of pain and betrayal as Stan confronts the truth and deals with Philip and Elizabeth’s pleas for him to let them go. Philip says their friendship was the real thing, and that it made his life a joke to have to hide his true self from Stan. He confesses to the pain of knowing he has to leave Henry behind and begs Stan to look after him. And, ultimately, he asks Stan to let them leave so that they can pass on the word of Directorate S’s attempts to betray Gorbachev. With Oleg in jail there’s no one left but them to deliver the message and save the Soviet government. It’s a wildly complex scene, and one that’s difficult to even write about as it covers so much ground in a complex weave of dialogue. Was their friendship true? Was Paige dating Matthew Beeman as a spy job? Was Henry’s respect for Stan all a ploy? (yes, no, no). But Philip is so charming and forthright that Stan finds himself paralyzed and unable to do anything as the Jenningses get into their car and pull out of the garage. Maybe he just wants to believe everything Philip has said about the friendship. Maybe he’s too emotionally involved to pull the trigger. Certainly, he’s shaken by Philip’s parting warning that Renee may be a spy herself, but Stan ultimately steps to the side and lets the family drive away into the night and unknown futures. The FBI manhunt for them won’t end, but he won’t be the one who ultimately has to close it. After years of being neighbors and weeks of suspicion, Stan finally got the answers he needed and that’s enough. The FBI sketches that Aderholt later produces for him are dead ringers for Philip and Elizabeth, opening the way forward for an investigation that won’t hinge on Stan. Elizabeth, Philip, and Paige head north, discarding their old documents and identities for new ones and disguises that will get them across the Canadian border. It also provides Philip and Elizabeth an opportunity to wear their true wedding rings for the first time. They decide to at least call Henry one last time before they leave, which is saddled with coded messages on Philip and Elizabeth’s side about how much they love him and what an incredible life he’s going to have. Henry, not knowing that the phone call is really a goodbye, just wants to end the awkward conversation and get back to his dorm ping pong tournament. Thus, the trio boards a train and finds their disguises good enough to slip past the border guards. But when the train pulls away Philip and Elizabeth are shocked to realize that Paige is no longer aboard. Like Henry, Paige has only ever known America as her home. With her parents gone and Marilyn dead, there’s only Stan to tie her to any spy work, and he’s already chosen to look the other way. It’s not going to be easy, but there may be a chance for her in America yet. The last we see of her, she’s returned to Claudia’s now empty apartment and is pouring herself shots from a vodka bottle. Will she eventually be tied to her crimes and captured? It’s one of the many things The Americans leaves unanswered. Equally unanswered is Henry’s future. We see Stan telling him the truth about his parents but nothing else. Likewise, we’ll never know if Renee truly was a spy. We only see Stan silently grappling with his thoughts about her in a gorgeous montage about all of the show’s characters set to U2’s “With or Without You.” It’s not the final Fleetwood Mac cue we may have been expecting, but, along with Dire Straights’ “Brothers in Arms” works as a perfect bow on The Americans’ grandest theme. Philip and Elizabeth did ultimately end up together, but at what cost? There was no hail of bullets or Chekhov’s cyanide pill, but the Jenningses ultimately find themselves back “home” in what’s essentially a foreign country after so many years away. They’re picked up by Arkady shortly after crossing the border back into Russia, and the pair finally share an exhausted nap together in the backseat of his car, heads nestled into each other’s shoulders. After a six-season run filled with fantastic music cues, the show’s final musical moment is a dialogueless sequence set to Tchaikovsky’s “None but the Lonely Heart” as all the characters ponder their futures. It’s the same song Claudia told Paige she used to listen to as a girl while dealing with the loss of her mother, and one more fitting callback. The show’s final sequence is of Philip waking up in Arkady’s car as they approach Moscow and asking him to pull the vehicle over. The couple exit the vehicle and gaze out on the city for the first time in decades. It’s lit up with night lights and a blanket of snow as the pair reflect on their past and their future together. What would their lives have been if they’d never gone? Would they still have found each other? Henry and Paige have a good chance for happy lives ahead. They raised them right, and they aren’t even really kids anymore, after all. Finally, Philip admits how strange it all feels to be over. They’re finally home with no mission but their own marriage. It’s time to finally be husband and wife without a dozen other attachments pulling them in varying directions. Their final assignment is nothing but themselves. “We’ll get used to it,” Elizabeth replies in Russian, and the camera focuses on the snow falling over a quiet Moscow. After decades as the Americans, it’s time to be Mischa and Nadezhda, or whatever they want to call themselves. The mission is finally over. -I love the show’s decision to leave so many things open-ended (Henry, Renee, Stan’s career path, Paige’s survival). The Americans was always a show that existed in grey areas. In a finale that stayed true to what The Americans has always been, this is just another example. -Do I need to talk about “START,” the finale’s title? Obviously a reference to the start of everyone’s new life going forward, as well as the 1991 strategic arms reduction treaty leading towards nuclear disarmament at the end of the Cold War. -Poor Oleg is the one who gets the worst deal. We have to assume he went to jail as Arkady pointed out to Oleg’s father that even his connections to Gorbachev likely couldn’t help his son. On the positive side, if he got a thirty-year sentence then he should have just gotten out last year. -No appearances from Martha, Gabriel, Claudia, or any other old-timers in the finale, and that’s fine. This was definitely a finale focused on ending the story rather than fan service. Those stories had all already come to appropriate ends, and there was no real reason to dig them up again. -“With or Without You” immediately jumps into the top 3 of Americans musical cues. -I love how Paige, Elizabeth, and Philip stopped at a McDonalds on their last stop before taking the train for the border. What could be more stereotypically American for one last meal in the US? -I have real doubts about Paige’s ability to survive. Once the FBI starts pulling at strings in the investigation Paige’s story is going to collapse. Plus, she threw all of her documents in a hole just south of the Canadian border. She hasn’t proved good enough at covert work to throw off the whole might of the FBI with an “I had no idea” story once they put the pressure on her. -I’m suddenly realizing that I neer have to type Jennings/Jenningses/Jennings’/Jennings’s ever again. Please, writers, give your characters more gramatically malleable names! -With the show’s broadcast run now over, it can go to a happy retirement on streaming services where people can finally binge it in its entirety and give it the attention it’s always deserved. That’s the hope anyways. If everything goes right, then this was The Wire of the 2010s: an amazing show that never got the awards or viewership it deserved but ultimately became widely admired. Plus, there’s still one last awards season to go. The ball is in your court, Emmys! So that does it. Thank you to everyone who ever read one of these recaps, and I hope you check out everything else Fellowship of the Screen has to offer. Pour out some vodka for your boy Henry Jennings! *P and E felt they would be safe in Russia, despite disobeying their handler. As Arkady says, the hawk element in the KGB could still come after himself, and the Buregs, and the Jennings’. They wouldn’t be very safe in Canada or the US either, so they chose “home.” I wonder what message Claudia sent about Eliz’s defection, or whether sending one, after their mission failed, would just complicate life for her KGB pals. *The writers chose to say very little about the world-changing glasnost/START/peace process. Just hints. Part of me wanted more discussion, but that is lousy drama. *Philip compromised by going to Russia. His discomfort was plain on his face on the train ride, the car rides, the pause at the last border gate. After the USSR breakup in about 3 or 4 years, I imagine him returning to USA, and Eliz. would go too, maybe for the kids. *Eliz. sort of declared her love for Philip. If we hadn’t become spies, she says, I’d have worked in a factory, maybe we would have met on a bus… She leaves me to imagine that she is implying Philip was destined to be her mate. *my predictions were mixed. Renee wasn’t revealed to be anything, yet that doubt influences the plot and Stan’s future. I also predicted Stan would draw a gun on the Jennings’es, but I didn’t predict a simple talking-their-way-out. *Vox.com noted the joy and relaxation Philip shows when he confesses to Stan. Finally, they can be themselves, and in a way, more truly friends, with the truth revealed. All of that said, I appreciate that the show didn’t give us some tidy, simple ending. When Elizabeth defied her handlers, I had begun to suspect a defection was in the cards for the family, but even that would have been way too tidy. Hopefully, a few years from now, somebody from the show will let slip in an interview whether or not Renee was an illegal. That’s going to eat at me. A huge amount was written online about the end of the series, and some of it helped me figure out stuff. Vox.com has several essays; the NYTimes TV critic’s review has a comments section that was actually better 2 weeks prior, with speculation rather than griping. Someplace I saw an interview with Rhys and Russell about shooting the train scene. Only 1 or 2 takes because of the complexity. Rhys, by the way, is funny as hell interviewed on TV, Colbert I think for one. Lots of youtube on him/them. I plan to re watch the garage scene, partly to re assess the acting and reactions. Stan so tortured and angry when he confirmed his worries; Philip so relieved and relaxed. My wife and I were also noticing that he minimized by not mentioning all the killing. To visit their kids–Sweden, Hungary, someplace neutral, even in Cold War days. Unless you’re wanted by the KGB, then you’re not safe in London or anyplace. I think the writers said in some interview that they left Renee as a topic of speculation. Not a central plot point. I just want to point out that Henry Jennings is gay. The show has alluded to this in pushups episodes when Henry talks about school and what he holds back. Elizabeth even seems to sense this, but doesn’t press. During Philip’s last phone call to Henry he says, “I just want you to be yourself okay. Because you’re great.” Faced with the strong possibility that he will never see or speak with his son again (which Philip also went through with his Russian son), Philip wanted to ensure that the last words Henry hears from his parents are of love, pride, and acceptance. There was such beauty and hope in that scene. I think Henry will be alright.